that those who criticized the honor accorded to him by President Al-Bashir on the occasion of the 58 anniversary of the Independence Day as envious. 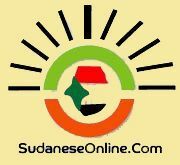 He added that we do not want anyone to honor us with medals, but we need to be honored by the Sudanese people. Head of Haq movement Hala Abdel-haleem did not rule out that the reaction of Al-Mahdi was directed to his opponents in the Umma party.